Roofing shingles are a familiar sight in both residential and commercial areas, but not all shingles are the same, as there are many different types of roofs that vary in quality, appearance and expense. Outside of the aesthetic differences, such as flat shingles and architectural shingles, there are also differences in how and what shingles are made of. Traditionally, asphalt roofing shingles are made of an organic asphalt mat, the underside with a mineral-embedded outer asphalt layer, which is exposed to the elements. Fiberglass roofing shingles have the same basic construction, however, the asphalt mat is laden with glass fibers, which speaks to rigidity and strength. This added strength and stiffness makes fiberglass the preferred type of shingles in warm, weathered climates, such as the Dallas-Fort Worth area. Fiberglass roofing shingles are preferred in warmer locations since they do not flex or bend as much as traditional shingles. This prevents them from succumbing to dry, southern winds, a trait common in other asphalt roofing brands. Fiberglass roof shingles also last longer because the bonding effect of the fibers helps prevent separation as the asphalt dries out over time. These are essential features for roofing systems in the Dallas Roofing-Fort Worth area, as brutal winds and extreme storms are common throughout the year. Fiberglass roofing shingles are comparable in price to traditional asphalt shingles, which makes them an affordable option and a lasting one, too. Using fiberglass roofing shingles commonly reduces the amount of roof replacements needed over time by half, when compared to asphalt in warmer locations with rough weather. Fiberglass roofing shingles install the same as traditional shingles, which lets those with the know-how to upgrade on their own, while still allowing contractors to install and maintain as they have in the past, avoiding any added costs. 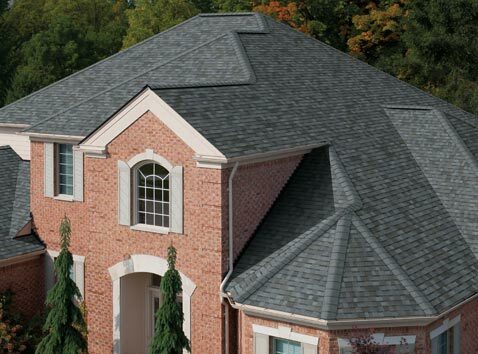 Texas Star Roofing is the leading roofing services provider in the Dallas-Fort Worth area. Our company has not only the knowledge and qualifications to repair or replace your existing roofing system, but also the experience to know which one is needed. Visit our services area page, and then request a free, no-obligation inspection today by filling out the form to your right. You’ll find out what options and alternatives we have to improve the integrity and value of your home or business.